A new animation has been added! The print screen button now let's you save screenshots to the screenshots folder (Located inside the 3DXChat folder). Your right mouse button now let's you click on chat messages of players to bring up the player context menu i.e. Profile, Gift, Invite, Partner etc. New animations have been added. Ignore system improved. Join us at Valentine's Day Love-Party 2015! 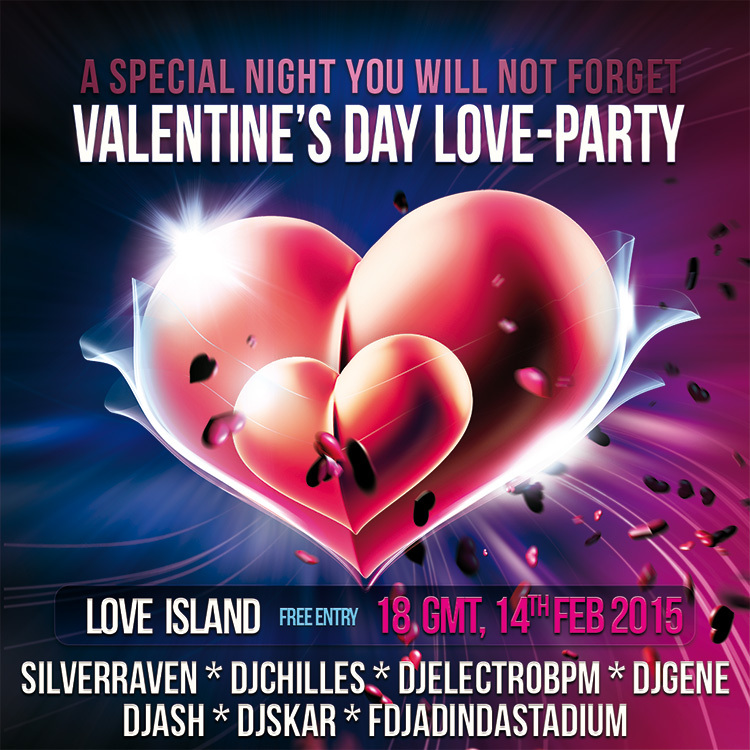 February 14th, 18:00 GMT, Love Island / 7 awesome DJs / 14 hours of live music / DJ Mixes / A special night you will not forget! New animation has been added. New animation has been added. Chat improved. Sound notifications option added.